For Health, Wellness, and Fitness.....It's a mindset....: Free Radicals? Can Cost us our health. Free Radicals? Can Cost us our health. Free radicals are not exactly free, except that they are free to roam around our bodies and reek havoc. Free Radicals are caused by many things, some natural and some from environmental factors. The environmental factors are the causes we need to exert some control over because of the long term consequences. Many of us expose ourselves to too much radiation(sun), pesticides, cigarettes, alcohol and other heavy metal toxins on a daily basis. Here is the simplified explanation without too much biology. 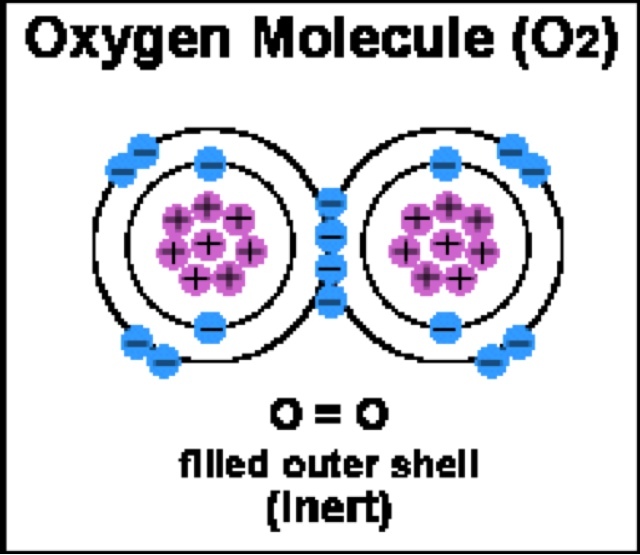 The molecules in our cells are held together by the bonding of atoms. Molecules are atoms that fit together like a puzzle and complete each other(see picture). 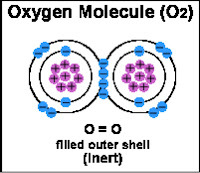 When the electrons in the outer shell of an atom become weak and let go of the electron that completes its shell, it causes the atom to look for another electron to complete the circle, and to make it stable again.When the outer shell of an otherwise stable molecule is broken, it is called a free radical. Many times in order to complete the circle of electrons it breaks apart another atom's outer shell trying to snag that electron that it needs. When this happens again and again, it causes a snowball effect, lots of broken bonds, hence more free radicals. Can you see how if free radical damage is allowed to continue the damage to our cells and tissue could be extensive and ongoing? We do have a weapon against free radicals, but that is another blog! Tomorrow, how antioxidants can help......yay! Click here to read more.